With the river at a good height and a few fish showing throughout the beat there was room for optimism this morning. 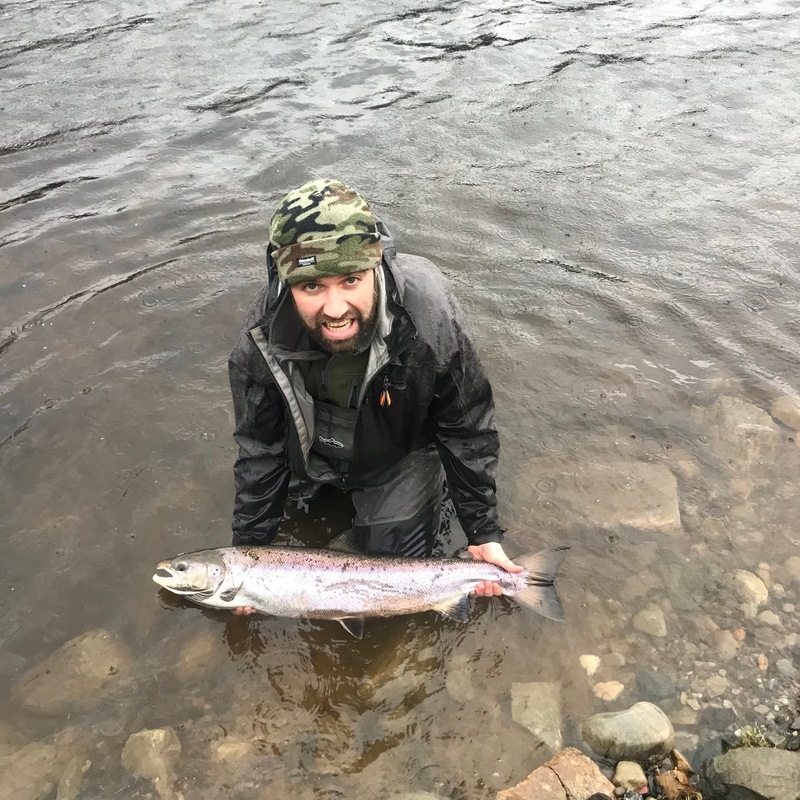 Graeme Lightbody took advantage and had an excellent day with two fish caught – one of 8lbs in the morning from Pitlochry bank then another of 15lbs in the afternoon on Port-na-Craig bank – both were caught on the spinner. Great to see the beat fishing well – and prospects for next week look excellent. Note added 5/3/19. An observant club member has noticed that Graeme's second salmon is clearly the same fish as was caught by Steve Watt on Opening Day - please scroll down the blog to 15/1/19 to see for yourself. You can often click on pics to see them bigger.